Another coffee deal! 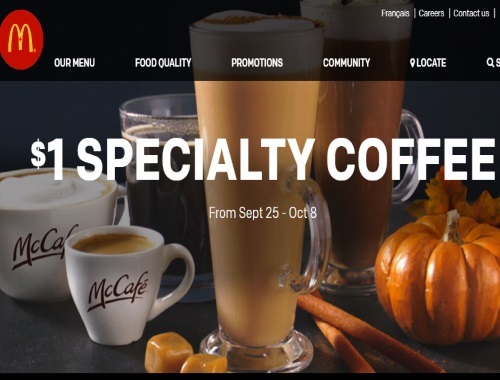 McDonalds is offering their specialty coffee for only $1! Pick your fall favourite including McCafe Cappuccino, Americano, Espresso, Mocha, Latte. Each cup is made with their signature McCafé freshly ground espresso for a rich, full-bodied flavour. Get cozy with your favourite Specialty Coffee today. Offer is valid September 25-October 8, 2017.